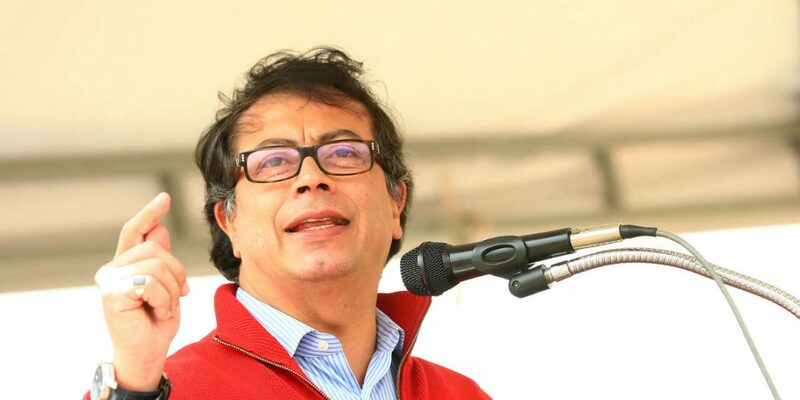 One of Colombia’s leading opposition senators, Gustavo Petro, said he has received death threats after a video of him receiving cash was made public by a political opponent. Petro said on Twitter Sunday that his brother received five threatening calls against them both. He also said that someone on a motorbike arrived at his mother’s house to ask for her. The calls come after a video was played in Congress that show Petro handling bundles of money. Colombia’s ruling party, the Democratic Center, have accused the anti-corruption advocate of having received “dirty” money, but Petro claims he was given it legally as campaign funds in 2005. “I have to apologize to my constituents for having received money in the past, although that is not a crime,” he said in the forty-minute clip published on the Senator’s Facebook page. Petro goes on to add in the video the publication of the video was a distraction from the Odebrecht debate that implicates President Ivan Duque, Duque’s mentor Alvaro Uribe, and his predecessor Juan Manuel Santos. Far-right Senator Paloma Valencia of the ruling Democratic Center party showed the video in Congress last week during a debate over the role of Prosecutor General Nestor Humberto Martinez in the Odebrecht scandal that revolves around the Brazilians’ bribery of state officials and illegal campaign contributions. The 2014 candidate for Valencia’s party, Oscar Ivan Zuluaga, and President Ivan Duque have been implicated in this scandal, as well as numerous congressmen and state officials. Brazilian construction firm Odebrecht is at the center of one of the world’s biggest corruption scandal with criminal investigations throughout Latin America and Africa. Petro, who challenged Duque in the presidential election earlier this year, has long been one of the country’s main anti-corruption advocates.